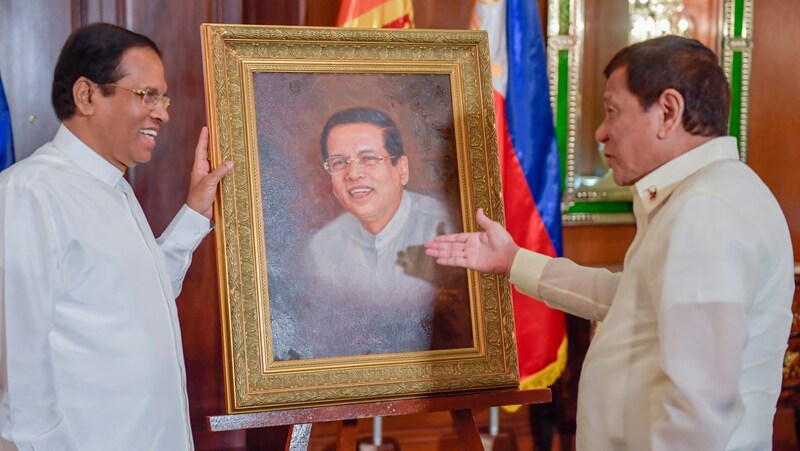 Human rights organisations in the Philippines and around the world have denounced Sri Lankan president Maithripala Sirisena’s praise of the Philippine president’s campaign against illegal drugs, which has been internationally condemned for its brutality. Philippines researcher for Human Rights Watch Carlos Conde, said Philippines president Rodrigo Duterte’s campaign was “a human rights calamity that no country in the world should even try to emulate”. Philippines police claim at least 5,000 suspected drug dealers have been killed in the president’s campaign, with local activists stating that civilians have been targeted and the true figure dead being much higher. “No ‘drug war’ that treated the drug problem purely from a crime perspective has ever succeeded,” added Conde. “What they have wrought are untold suffering and the further destruction of the rule of law and the diminution of human rights”. Philippines human rights group iDefend warned Sirisena that if he were to adopt the Philippines president’s approach, he should be ready to face scrutiny by the International Criminal Court (ICC) in the Hague, which has already started a preliminary examination into alleged crimes against humanity by Duterte.